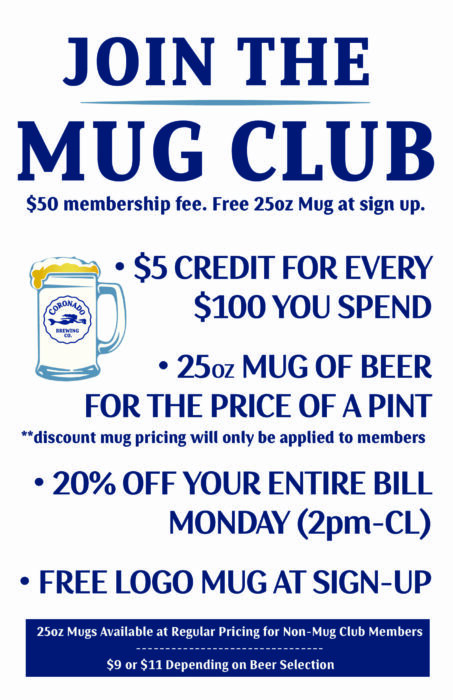 When you join our Mug Club, you get 20% your entire tab, EVERY Monday! Ask your bartender or server for more details! Valid at all three locations!